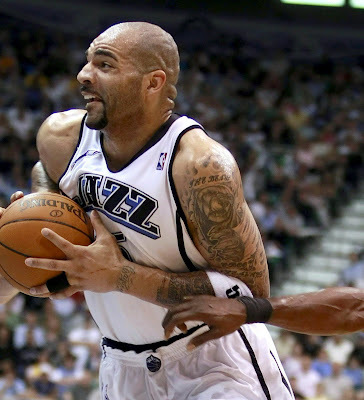 Carlos Boozer is a phenomenal American professional basketball player and Olympic gold medalist, who has played for the Utah Jazz and Cleveland Cavaliers in the NBA. 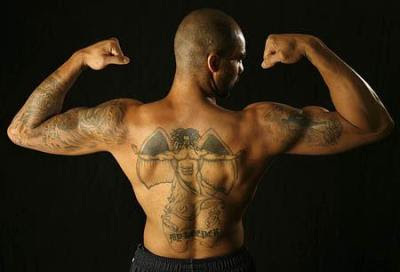 Carlos Boozer has a great deal of tattoos on most of his upper body, including a huge archangel which covers most of his back. The tattoos on his left arm include, a large grizzly bear clawing through his skin along with some text, he has a biblical scroll with many names including Christ, plus a single eye and a name on his wrist. All of the tattoos on his left arm have a flame border around the designs. 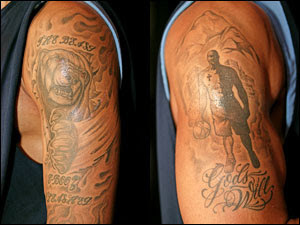 The tattoos on his right arm include, a full body portrait of himself with the Alaskan Mountains and skyline of Juneau in the background, with the words "God's Will" and "Faith". 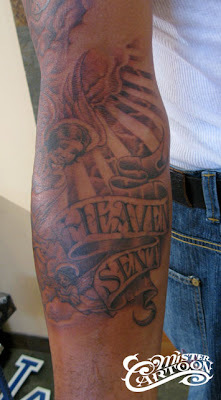 On his right forearm is a heavenly scene with two angels and rays of light shining through clouds from heaven, with the words "Heaven Sent". 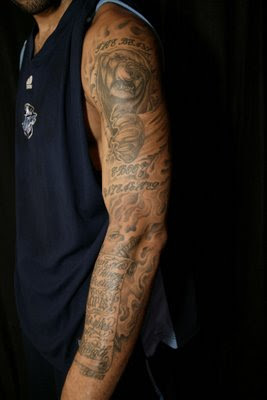 Some of Carlos Boozer's tattoos were done by the world famous tattoo artist, Mister Cartoon.